OUR OFFICE IS OPEN MONDAY - FRIDAY FROM 8:00AM TO 3:00PM We have been proudly serving Massachusetts & Vermont since 1972. With more than 40 years of experience, our family-owned-and-operated company prides itself on professionalism, a knowledgeable staff and a commitment to quality. With over 40 years of experience in the field, our team of expert electricians can help you handle any problem. Bergeron Electrical Services in Southampton, MA, offers solutions for all residential, commercial and industrial electrical needs including upgrades and maintenance. We also provide generators for your home or business. Experience matters. We are fully licensed, bonded and insured in Massachusetts and Vermont for your safety. Bergeron Electrical Services was founded in 1972 by Paul J. Bergeron. Our extensive experience has firmly established us in the residential, commercial, and industrial electrical industry, offering high quality electrical installation, upgrades and repairs to area residents and businesses. We promise to listen to your needs and provide an electrical solution that won't destroy your budget. At Bergeron Electrical Services, our professional approach to doing business is based on old school principles of workmanship, customer service, personal attention and professional integrity. While it is your peace of mind that is most important in this business, our work is what people see, and our reputation means everything to us. Since we are a family owned business, we will take that extra step to ensure your satisfaction and peace of mind. We strive for prompt response to all service calls. Our staff can handle service calls involving a single outlet or large industrial installations. Emergency calls are handled immediately, 24 hours a day, seven days a week. Don't hesitate, call us today! Copyright © 2019. 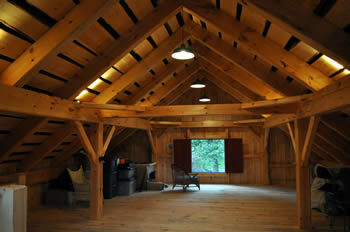 MA & VT Electrician - Bergeron Electrical Services: Residential - Commercial - Industrial. Website by Web-tactics, inc.